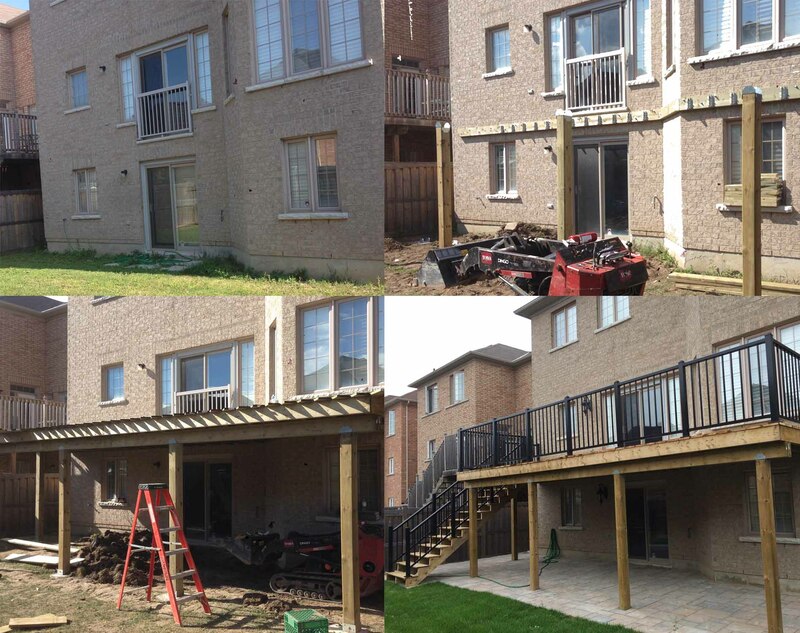 At BAF Landscaping and Contracting we install any style of fencing, decks, docks, floating docks, pergolas, gazebos, and any other woodworking applications. We design and build high quality, long lasting products to suit all your wood working needs. Utilizing a multitude of products from pressure treated lumber, cedar, PVC, and even composite materials such as Trex the options are endless. All our products are built above and beyond what local building code standards are, because in all cases stronger and safer is better. Whether it’s a new build, an historic house or a rotten unsafe cottage deck that needs to be redone we can help. Contact us anytime to discuss your options on your future projects.